"A GUNG HO VIRTUOSIC ASSERTION. The French have somersaulted over the Chinese in deliovering acrobatic action pictures." "It's a reminder that one of the great pulls of cinema is the spectacle of other bodies in blissful motion. 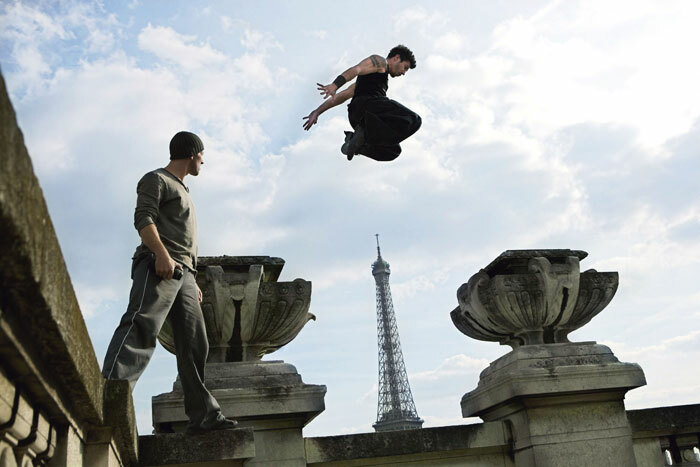 When David Belle vaults over a wall, you see straining muscle, grace AND THE IMPOSSIBLE MADE POSSIBLE." "IF YOU WANT AUTHENTICITY GO TO THE ENERGETIC D13 ULTIMATUM. The action and the head-spinning stunts of the agile lead actors will never get old." 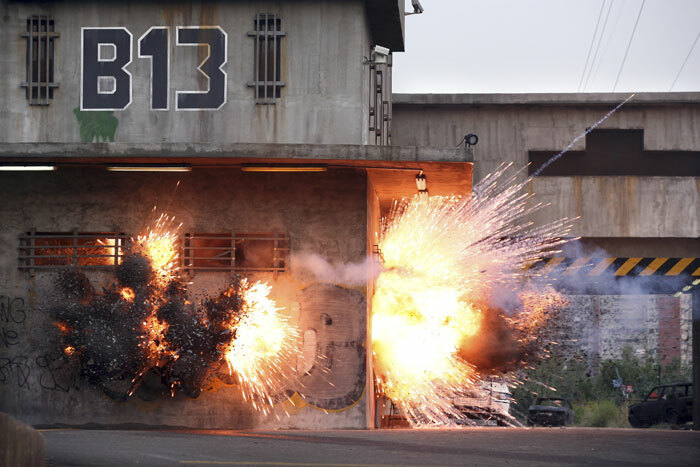 "A RAUCOUS HELPING OF SECONDS WITH EXPLOSIVE STUNTS." "Action-flick junkies in the U.S. should be worshipfully grateful. Breakneck action and spectacular set pieces guide the brilliant blend of physical stunts. The magnificently choreographed maneuvers of swinging, punching, flipping, jumping and kicking prove you don't always need computers to produce truly remarkable special effects." "An improvement on the first film with a more diverse cast, several standout action sequences and a wild sense of comic-book, over-the-top camp." "It features a trio of action centerpieces THAT WILL HAVE AUDIENCES SHAKING THEIR HEADS IN AMAZEMENT." "Belle and Rafaelli represent a dazzling throwback to the days of the Hong Kong New Wave." "Cyril Rafaelli moves with the expressive agility associated with Buster Keaton or Jackie Chan in their primes." "It delivers awesomely choreographed chase-and-fight sequences." "The action scenes are fine and thrilling. 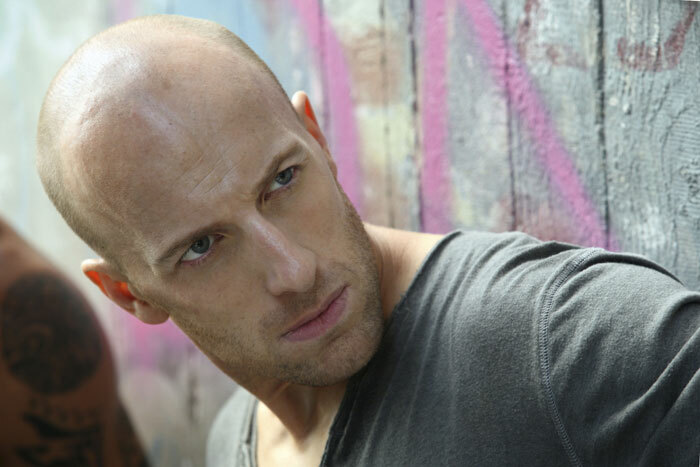 'D13 Ultimatum' delivers the goods." "BREATHLESS, INSPIRED AND HUGELY ENJOYABLE ACTION." "When Belle and Rafaelli work together, you might think you are witnessing the greatest thing to happen to moving pictures since Douglas Fairbanks. Here is one sequel worthy of the original." 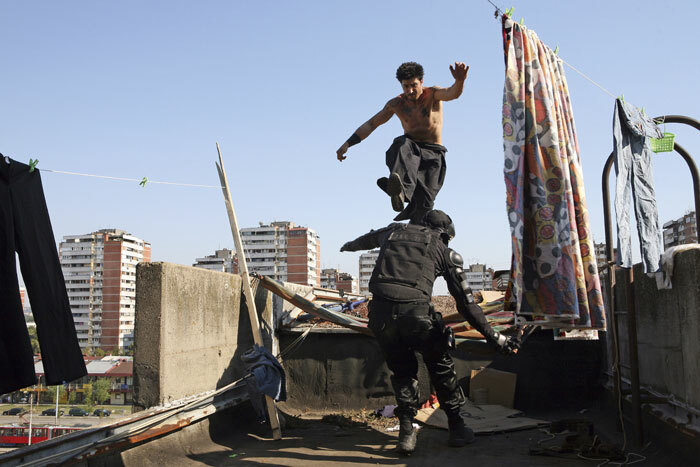 Two years have passed since elite police officer Damien Tomasso (Cyril Raffaelli) teamed up with reformed vigilante Leito (parkour originator David Belle) to save the notorious District 13, a racially charged ghetto populated by violent drug dealing gangs and vicious killers. Despite government promises to maintain order, the state of the district has deteriorated, and a group of corrupt cops and elected officials are conspiring to cause civil unrest in D13, looking for an excuse to raze the area and cash in on its redevelopment. Now Damian and Leito must join forces again, and use their mastery of martial arts and their unique physical skills to bring peace to the neighborhood by any means necessary... before a proposed nuclear air-strike wipes it off the map. 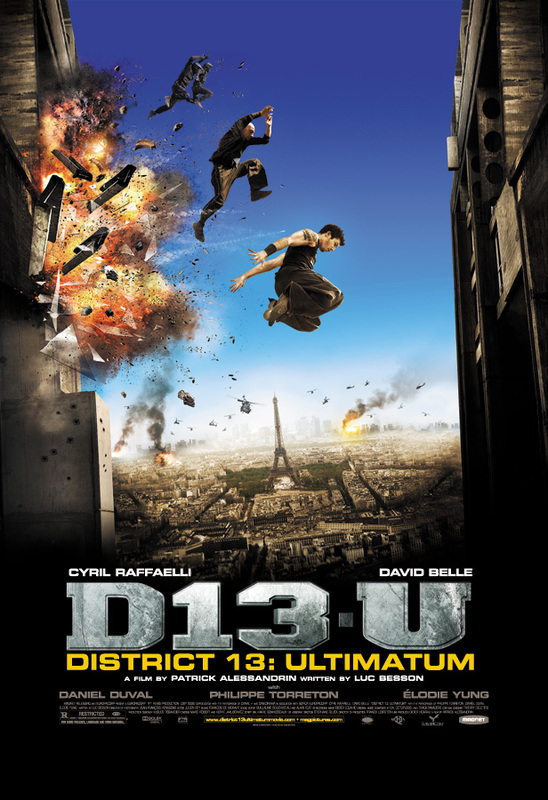 With bone crunching fights and death defying leaps, this adrenaline charged sequel takes the groundbreaking parkour action from DISTRICT B13 to thrilling new heights.